There’s no such thing as a perfect year when it comes to agriculture, especially considering the diverse geography and climate of our state. There will always be uncertainty when it comes to the weather—will we have a freeze, drought or flood? But in 2015 we had all three in a single year. We could spend days discussing the role weather played in crop loss last year, and you’d be hard-pressed to find a farm that didn’t experience some sort of weather event. But today, we’ll focus on the Waterlogged Fall of 2015. If you need help remembering what we’re talking about, this picture should help jog your memory. 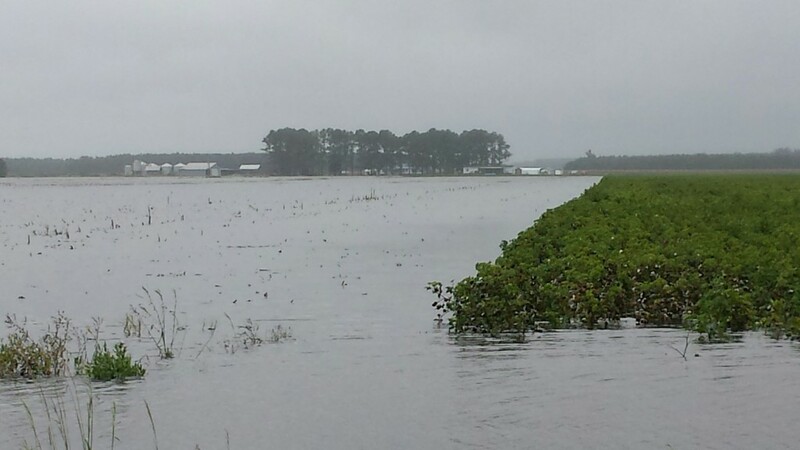 Flooding at a farm in Hyde County. In a special edition of North Carolina Farm Bureau’s Capitol Roundup, NCFB’s State Legislative Director and Legislative Counsel Jake Parker provides information about how a recent legal decision has forced some changes to North Carolina’s Congressional districts, and how those changes have thrown a wrench in the state’s primary election schedule. Wednesday, February 3, 2016 Welcome to the First Furrow! Welcome to North Carolina Farm Bureau’s blog—The First Furrow! First things first: what about the name The First Furrow? When a farmer plants a field, the first row—the first furrow—must be straight; it cannot waiver or stray. This is because the first furrow is a guide for the rest of the field. If it’s crooked, the rest of the field will be crooked, too. To make sure the field is planted correctly, the farmer has to pay attention to what he’s doing and focus on what’s ahead. As with planting a field, when talking about agriculture policy, the first furrow has to be based on good, reliable information. If a conversation starts with inaccurate or misleading information, it’s tough to get it on the right track.